Gift season’s upon us, and while I’ve never looked askance at that holiday favorite for catechists, the Gift of Chocolate, I’d like to share four of my favorite CD’s for use in teaching the faith. Here’s a link to the local Catholic Store Finder, where you can support your nearest Catholic bookstore when placing your order. Gift certificates and parish credits are always the right size! 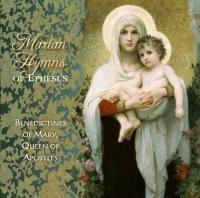 This summer I received a gift copy of Marian Hymns of Ephesus from the Benedictines of Mary, Queen of Apostles. Took me forever to break it open, but wow! Stunning! It is now my #1 CD to Bring Along on a Business Trip — exactly what you need to get your head on straight in between meetings. 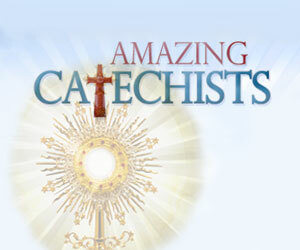 What’s in it for catechists? Gorgeous recordings of classic Catholic hymns and chants. Most of them are better to listen to than sing-along, though a few are suitable for sing-along as well. I e-mailed the sisters, and received assurance that catechists are welcome to enlarge and distribute copies of the lyrics for classroom use. Here’s my article on meditative prayer in the classroom, to give you some ideas on how you might use a CD like this one as part of a class for elementary-age students. Taking a look at the sister’s website, it appears that Marian Hymns is on back-order at this writing. The Benedictine sisters do have a brand spanking new Advent at Ephesus CD just out, and it promises to answer the question of “How do I make my Advent classes more about Advent and not just The Three Weeks of Christmas? 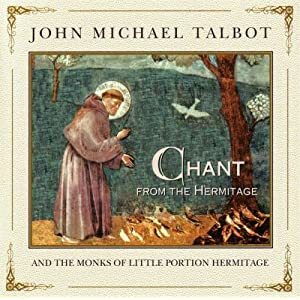 For an accessible, easy-to-sing-along introduction to chant, I absolutely love John Michael Talbot’s Chant from the Hermitage. I’m no technical expert, but I can say that having learned the genre via this simple and user-friendly CD, when I recently dived into The Parish Book of Psalms, it was an ‘Aha!’ moment — Yes! Anyone can learn this! Yes! Anyone can sing this! Gregorian chant really is meant to be music for the masses! The CD contains Latin recordings of the Sanctus and Gloria, and the Greek Kyrie, and then a dozen or so psalms chanted in English. This is an excellent introduction to chant and the Liturgy of the Hours for students, because the recordings are very down-to-earth, so students can easily follow along. Very quickly students will get the knack for how chant “works”, and start chanting all kinds of silly stuff. Brilliant recording. 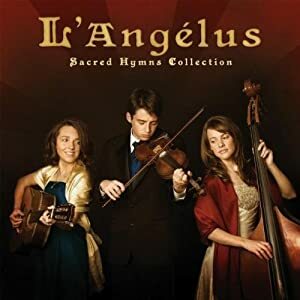 A top-notch sing-along CD for classic Catholic hymns in English and Latin is the Sacred Hymns Collection from L’Angelus. If the Benedictines of Ephesus win the award for ephemeral beauty, L’Angelus comes along and gives you the tracks the kids can use to learn to sing the Panis Angelicus and Tantum Ergo themselves. 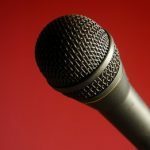 English-language hymns include The King of Love My Shepherd Is, Be Thou My Vision, as well as an upbeat, folksy riff on St. Patrick’s Breastplate, This Day God Gives Me. There is a smattering of Cajun French, Spanish, and Gaelic as well. Cool factor: Pictures of the kids who make the music. My final catechist-recommended CD is a homegrown prayer collection (spoken, not sung) by a personal friend of mine, John Hathaway. 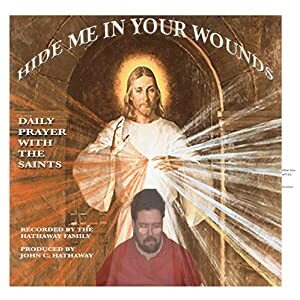 Hide Me in Your Wounds is John sitting at home in front of his PC, recording about 10,000 classic Catholic prayers, including quite a few you’ve probably never heard before. The recording volume jumps from track to track, but within each track the sound is fine. I recommend this CD because in using it in class, I have found the kids respond very well to it. Why do I like it? Three reasons: 1. It’s a pleasure for all of us to be able to listen to someone else’s voice for a change. 2. Lex orandi lex credendi – after learning about the clergy, the prayer for priests is a breath of fresh air, knocking out the pedestal and praying for our holy ministers, human faults and all. 3. I particularly like using the obscure and very powerful saint’s prayers in observance of various feast days throughout the year. That’s my list. How about you? What’s on your catechist wish-list this year? Oh, Jennifer! Now you’ve done it. Reaching for my credit card…. Yep. There’s going to be a little talk later this month when someone I’m married to realizes how much I spent on Advent CD’s this year :-). For Marian Gregorian Chant, you can’t beat Chants of Mary from http://www.paracletepress.com/the-chants-of-mary.html It’s the best. Thanks for the tip — I’ll check it out!